New A380 operators come every once in a blue moon nowadays. ANA has three A380 frames on order and will be the next new operator of the aircraft. Their first plane entered the Airbus paint shop today. The 5th seating style comes in the form of what ANA is calling Couchii, a concept similar to what Air New Zealand calls the Sky Couch and what Joon calls Cosy Joon. These seats feature an extendable leg rests that convert the seats into a “bed”. Couchii passengers will also receive a dedicated bed sheet, pillow and blanket set amenities. The first class suites look like a modernized version of the existing ANA suite found aboard all 777 products aircraft which are essentially composed of a lay-z-boy in a cubicle and will feature a massive 32″ personal TV. The suites will also include sliding doors. 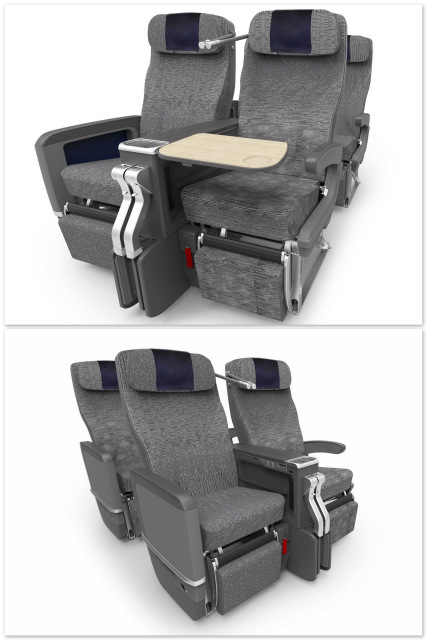 All premium economy seats will feature a 38″ pitch and most seats will have a 15.6″ entertainment screen. The tray tables will also swivel 90 degrees so customers can still maneuver even when the tray table is open. All seats will feature 34″ pitch and 13.3″ entertainment monitors. Each seat comes with power and USB outlets as well. Couchii seats will only have 32″ of pitch. The flights aren’t currently available for sale yet, but were already looking forward to trying the new service. If you wanted to use United miles to redeem for free flights on this route expect to pay between 27,500 miles for a one-way economy award up to 55,000 miles for a first class award. Virgin Atlantic frequent flyer program is always a sweet spot for flights on ANA and looks like this route should only cost 90,000 miles for a first class round trip ticket. Are you planning on flying the new ANA A380 Hawaii service?